Ford and Spotify have teamed up to bring the world's largest music streaming service to the SYNC Applink platform, unveiled at the MWC in Barcelona yesterday. The deal marks Spotify's first partnership of this type with a car manufacturer and it means Ford owners will be able to access the music service's 20-million-plus song catalogue using voice activation technology on their smartphones. 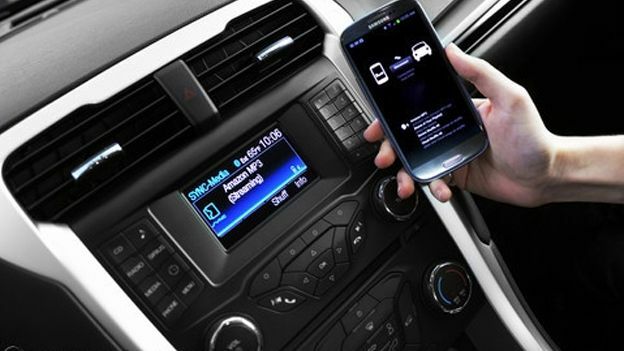 The app will support voice commands from drivers such as 'play music', 'shuffle', 'repeat, and 'choose playlist'. The service will initially be made available to more than one million Applink-enabled cars in the US but will eventually come SYNC-equipped vehicles in Europe too. "As one of the World's most popular music streaming services, Spotify is the perfect partner to demonstrate the benefits of the Ford SYNC AppLink system," said Ford's chief technical officer, Paul Mascarenas. The deal echoes Volvo's previously announced plans to bring Spotify to its vehicle range, but Ford says its deal marks the first official collaboration with the Swedish music streaming service.